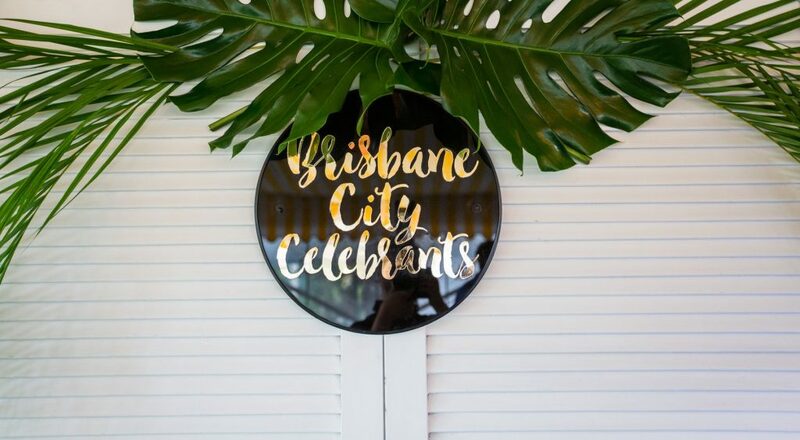 Being Celebrants we love nothing more than a great celebration, so when ‘Brisbane City Celebrants’ turned 10, we took the opportunity to throw a party and celebrate alongside an amazing bunch of wedding professionals, and thank them for being so supportive of our business over the years. 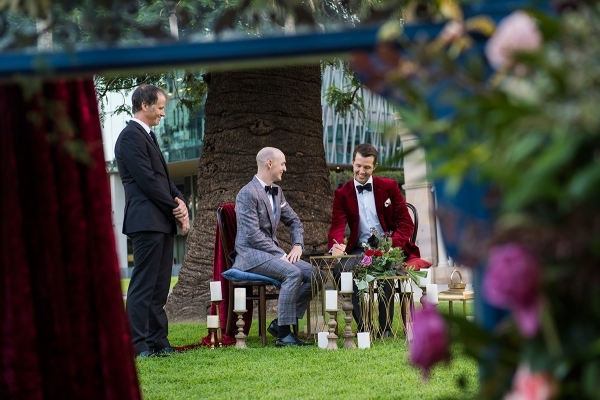 We decided to become Celebrants after our own wedding in 2008, when we realised the modern, upbeat style of ceremony we would have liked, simply wasn’t available. 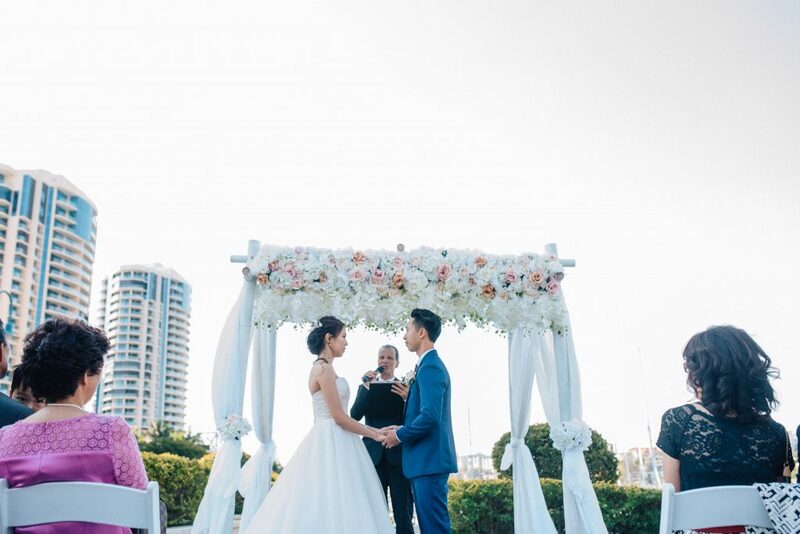 So with backgrounds in public speaking and a passion to start creating seriously enjoyable ceremonies, we became the change we wanted to see in the wedding industry. 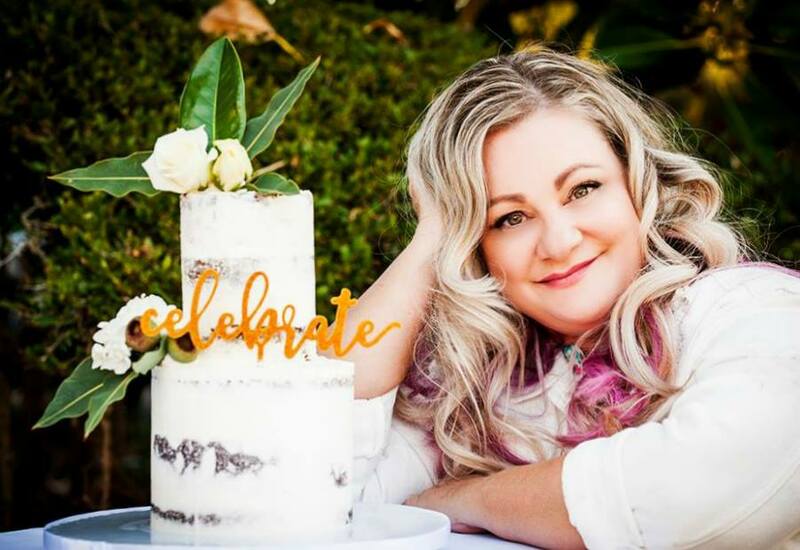 We never expected our Celebrant style to have so much demand, and our little Celebrant business to grow to where it is today. 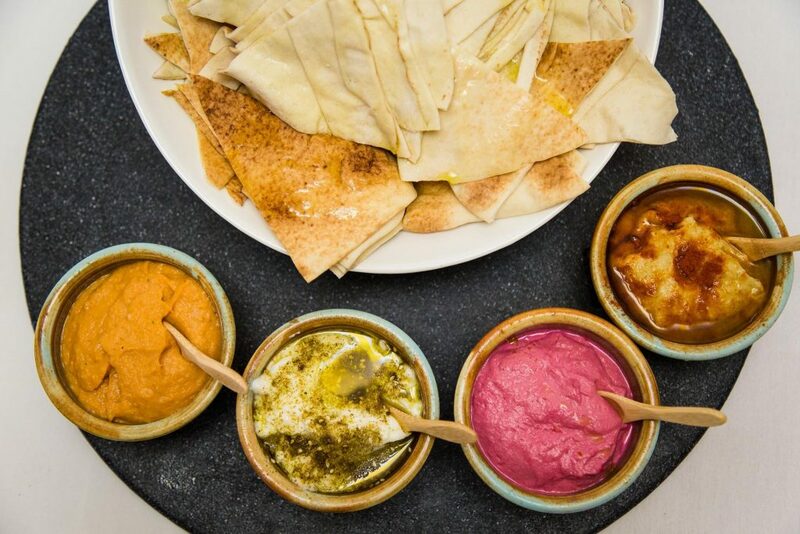 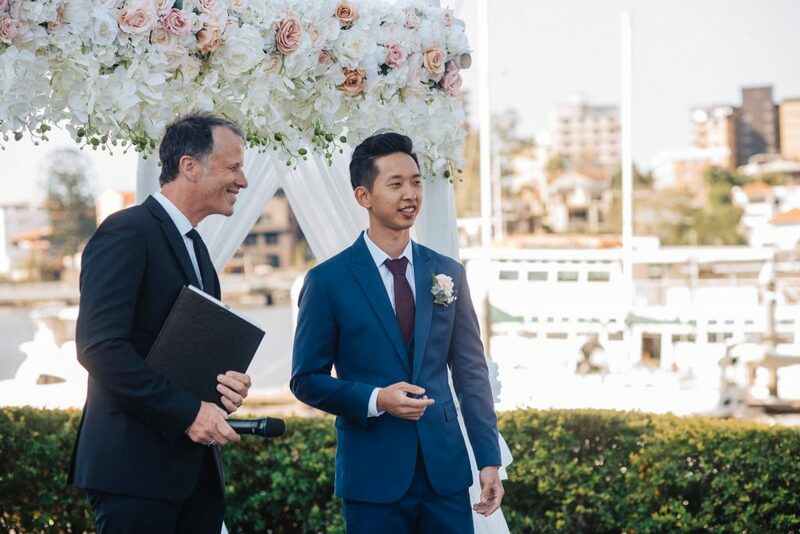 Reflecting back on what was initially a part-time weekend passion around our office jobs, we still pinch ourselves that we were able to quit our day time jobs to do what we love full-time – celebrate love! 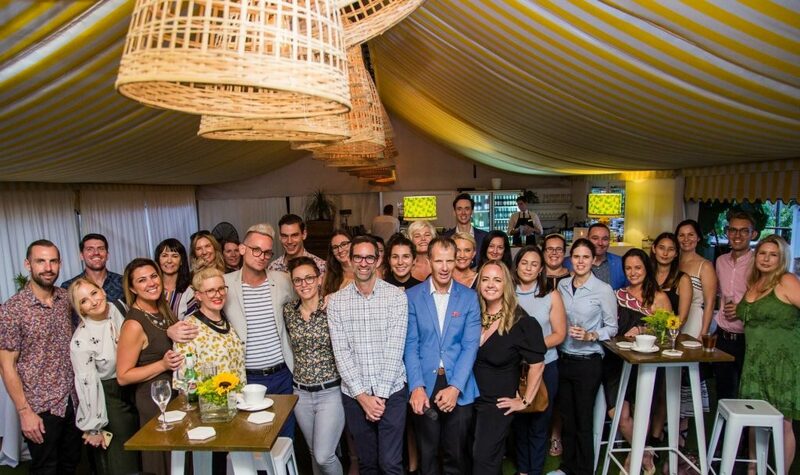 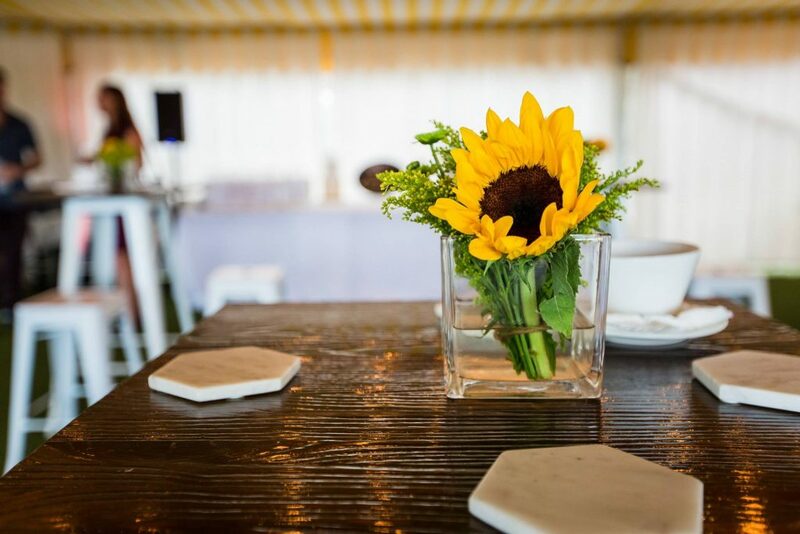 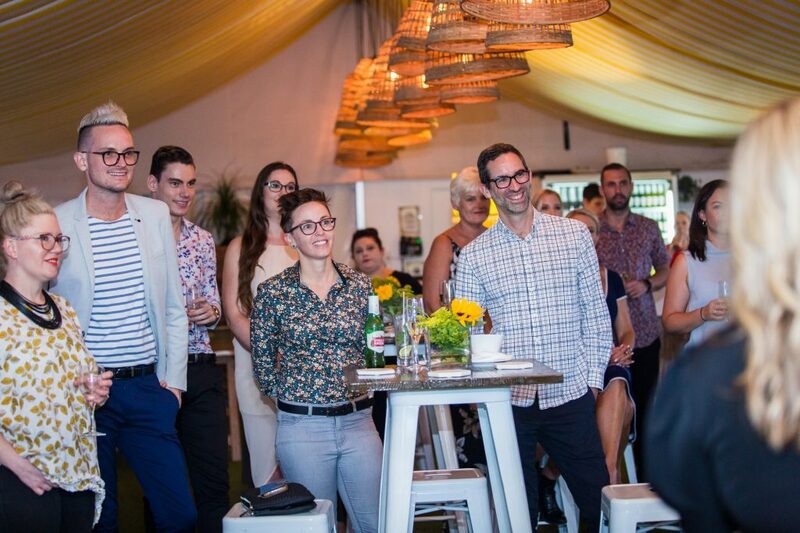 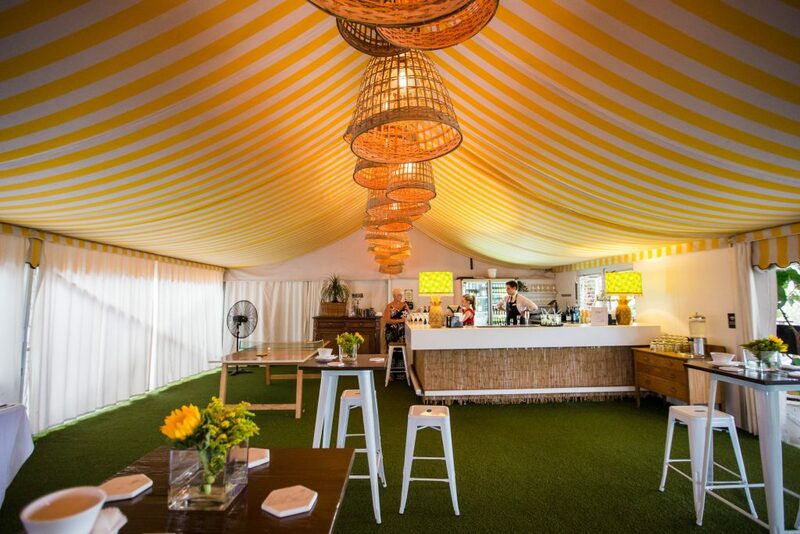 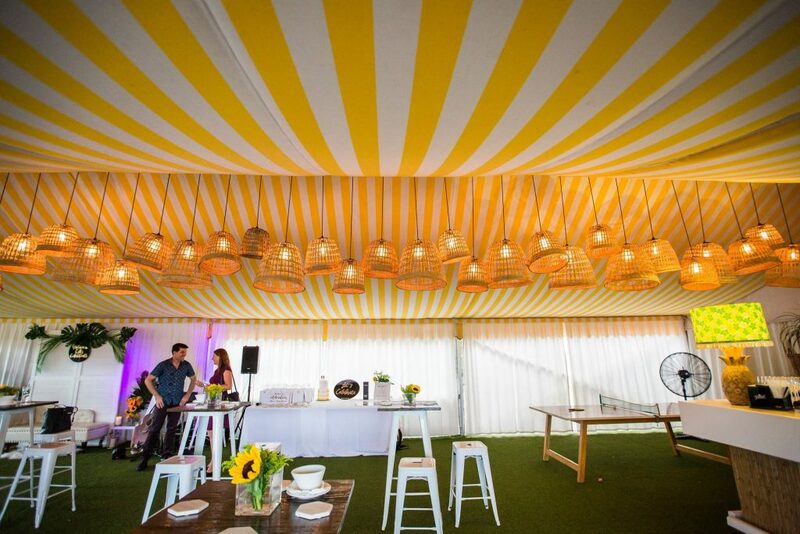 We picked The Orchard function space at Victoria Park for our celebrations as we loved it’s summer vibe, ambient lighting and cheerful yellow theming. 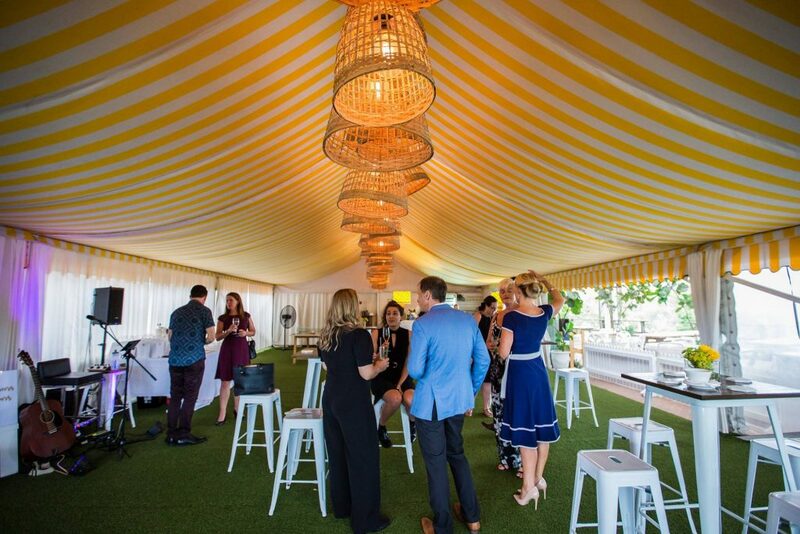 Tolix style bar tables and stools from Brisbane Wedding Decorators created a cocktail setting perfectly suited for attendees to mingle, and we loved that guests were greeted on arrival with mojito cocktails. 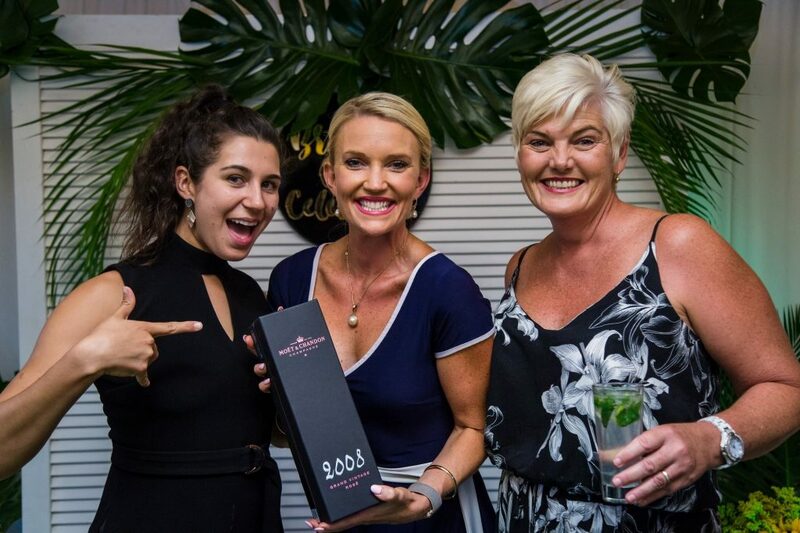 Brisbane City Celebrants 10 year celebrations wouldn’t be complete without a prize draw, the winner taking home a bottle of 2008 vintage MOET rose, a favourite drop of ours, reflecting the year our business was founded. 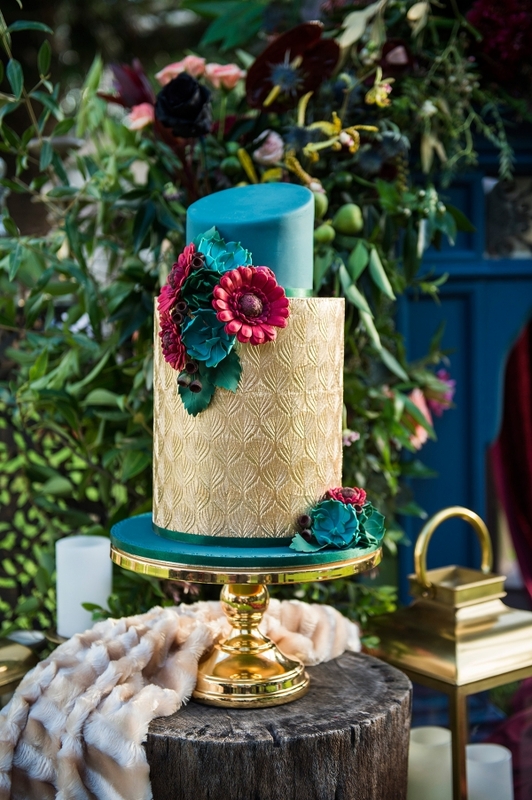 We would like to say a really big thank you to everyone who has supported us over the years, from all our amazing clients who trust us for such an important part of their special day, to all the talented wedding industry professionals who we simply love working alongside at weddings. 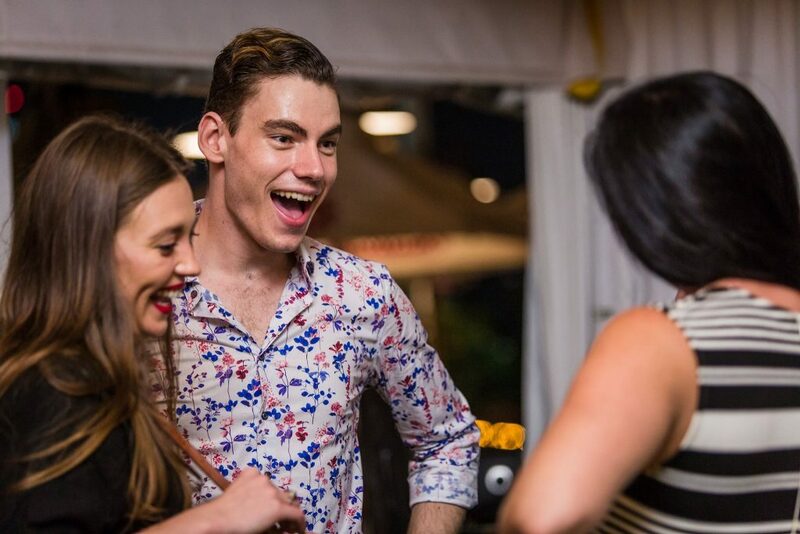 Thanks to all of you we get to do what we love! 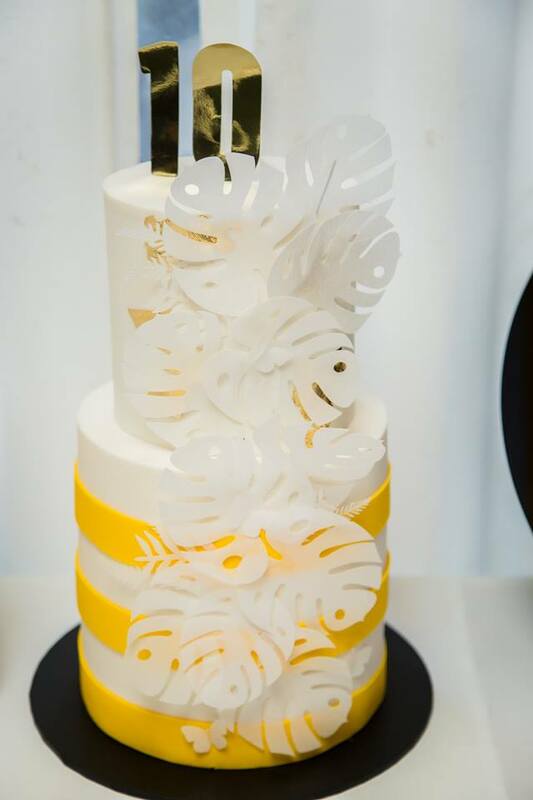 Here’s cheers to 10 years! 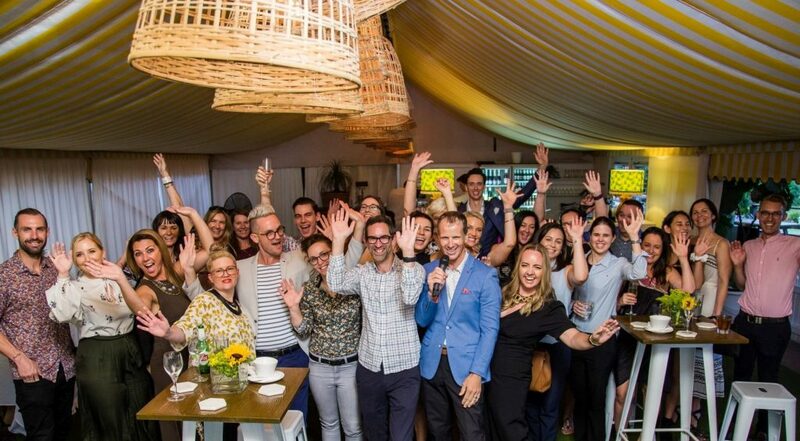 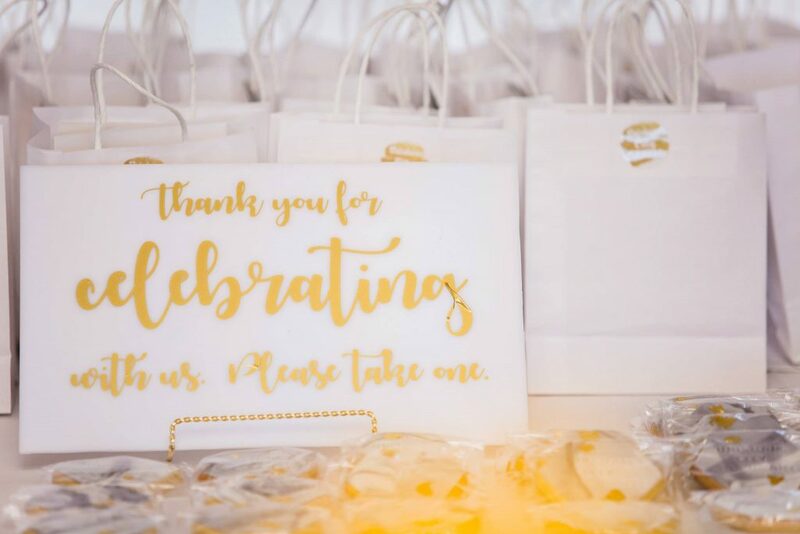 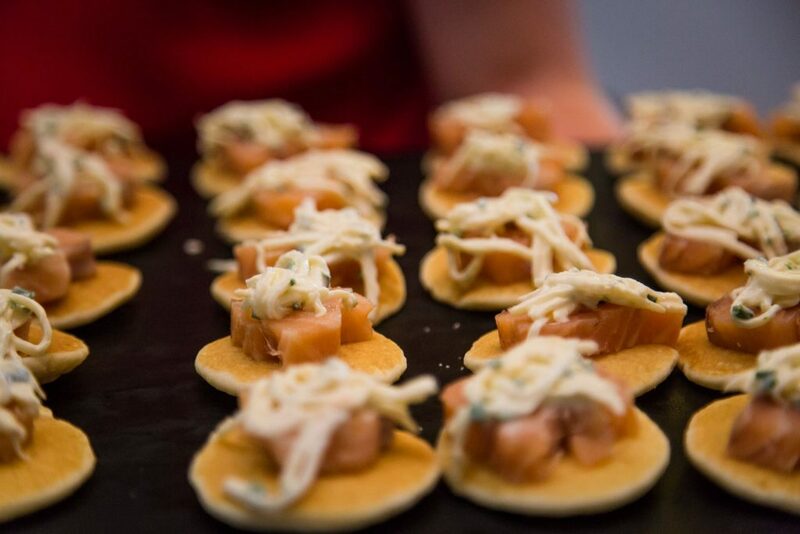 Thank you to all of those who joined us for celebrations including our fellow Celebrants from Brisbane Celebrants Directory & Blog and a special thank you to the following suppliers for being a part of our event. 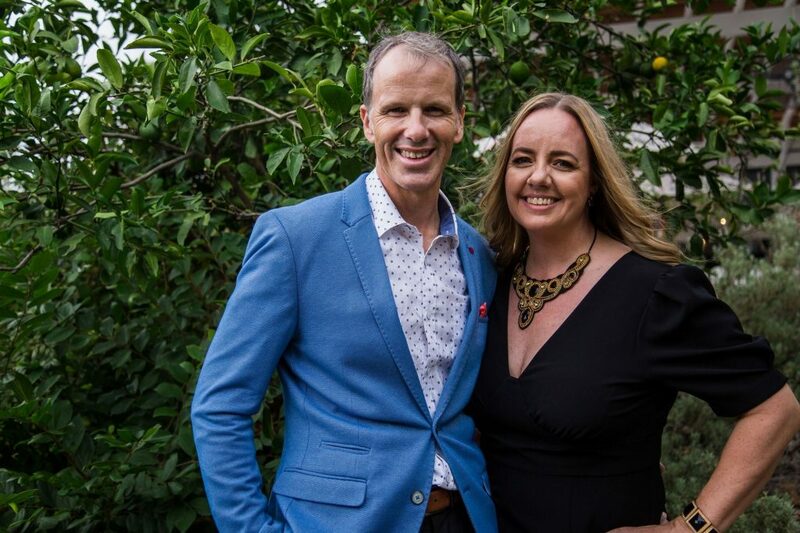 If you enjoyed this post and Jamie and Cara sound like the kind of Celebrants you are looking for, they would love to hear from you. 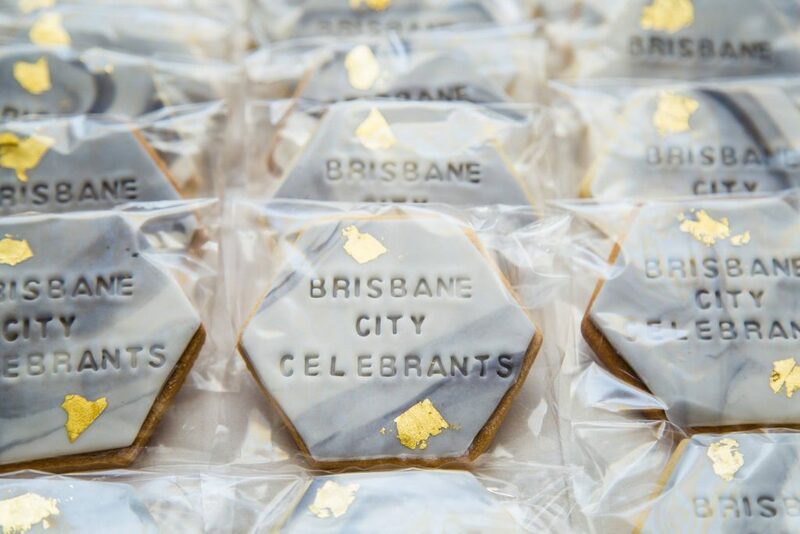 Head to Jamie and Cara Brisbane City Celebrants website for more information. 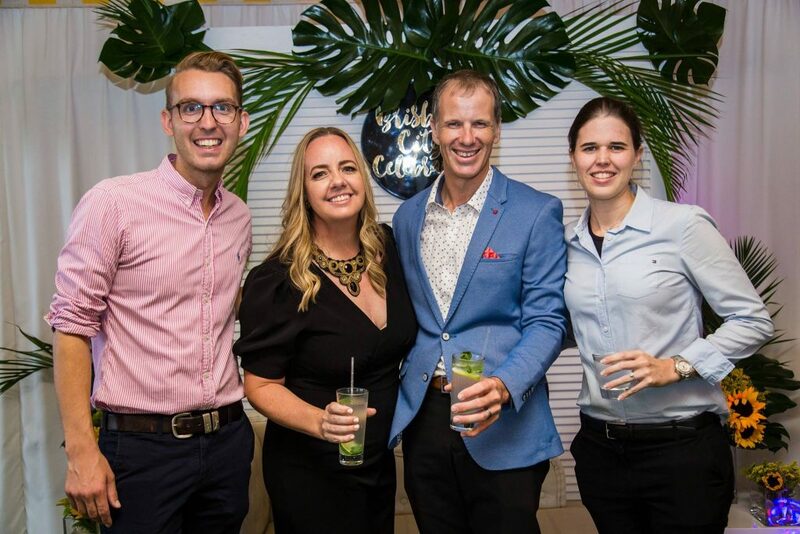 This percentage has increased slightly every year over the past decade reaching 78% in 2017. 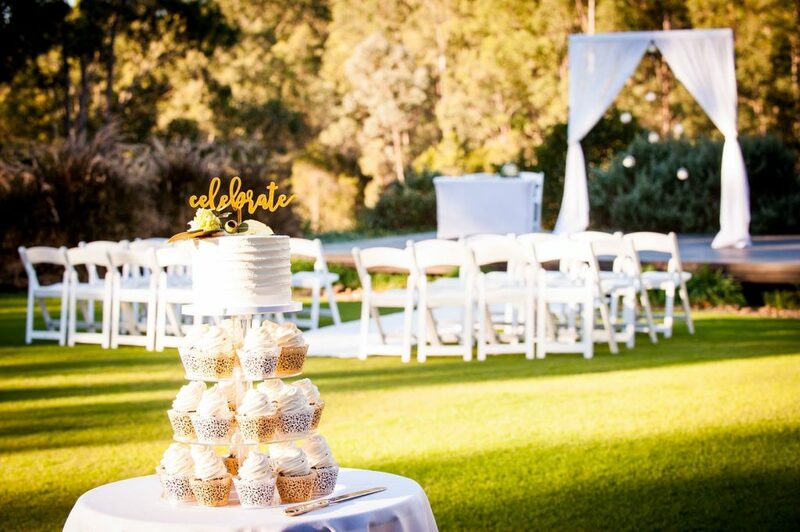 While there are likely a number of reasons for this increase, perhaps couples like the increased flexibility of location and ceremony customisation that come with civil weddings. 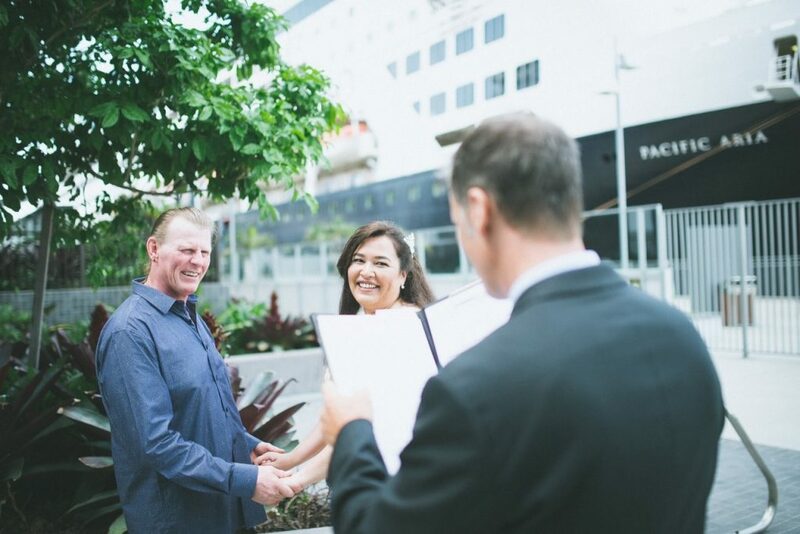 We have personally had the pleasure of marrying couples that are of different religions and have opted for a civil wedding as a neutral comprise to a religious ceremony. 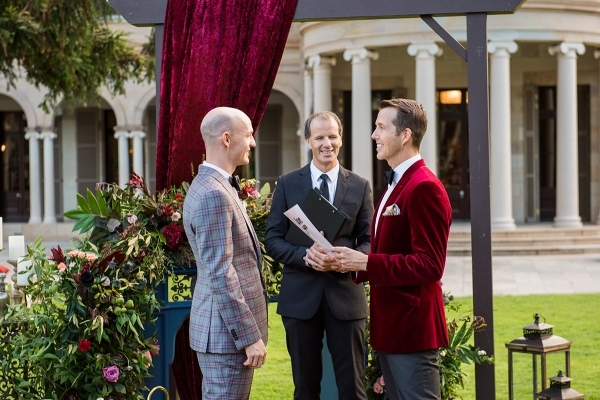 In 2017 116,322 marriages took place in Australia, this figure increased fractionally every year until 2013 with a decrease of approximately 5,000 marriages compared to the previous year. 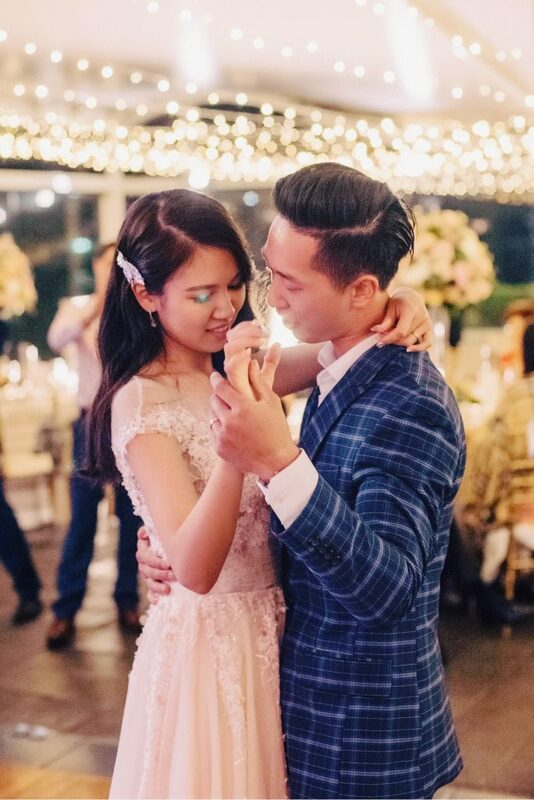 Could this be somewhat related to suspicions around the number 13? 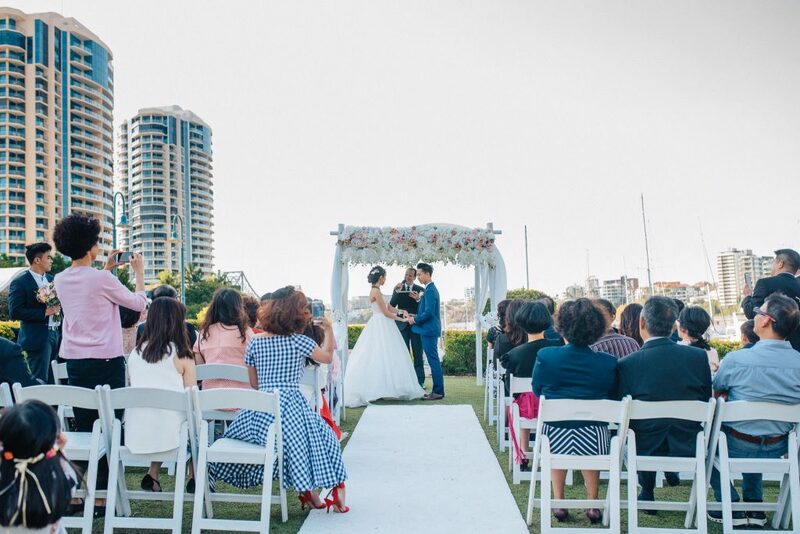 By 2015 the total number of marriages that took place in Australia was just 113,595, and while this jumped up to 118,401 in 2016, 112,954 marriages took place in 2017, which is approximately 5,000 less than the previous year. 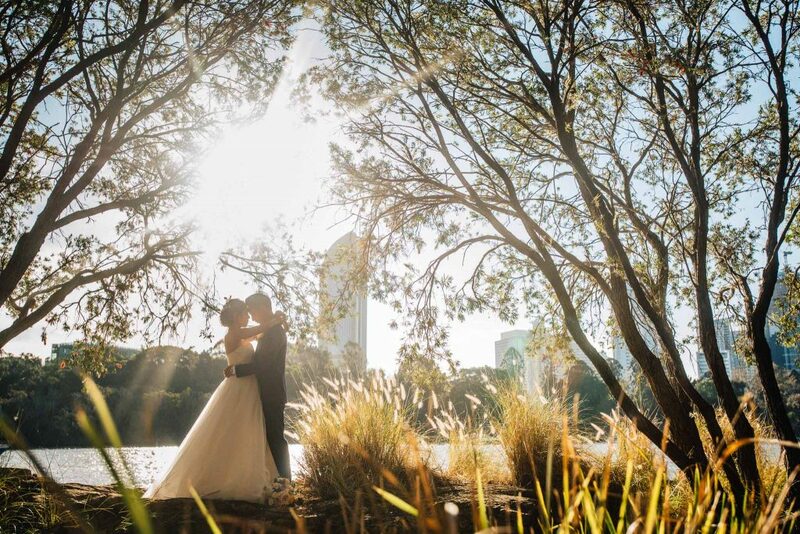 In summary, 3,368 less marriages took place in Australia in 2017 than 2007, when you factor in population growth, this suggest a higher percentage of people are choosing not to marry. 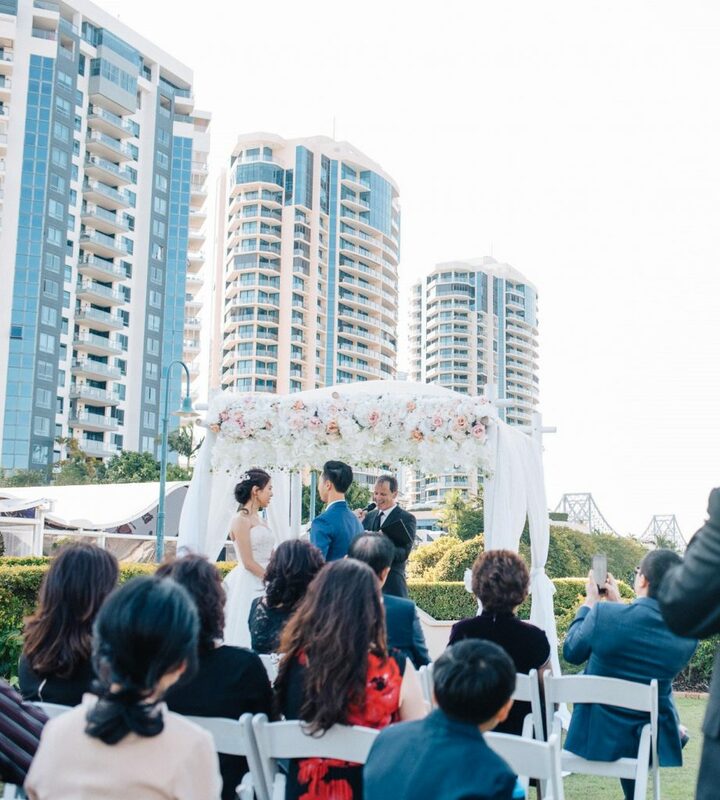 When we attended our first OPD training back in 2009, we were told the average age of Marriage Celebrants was 67 years old. 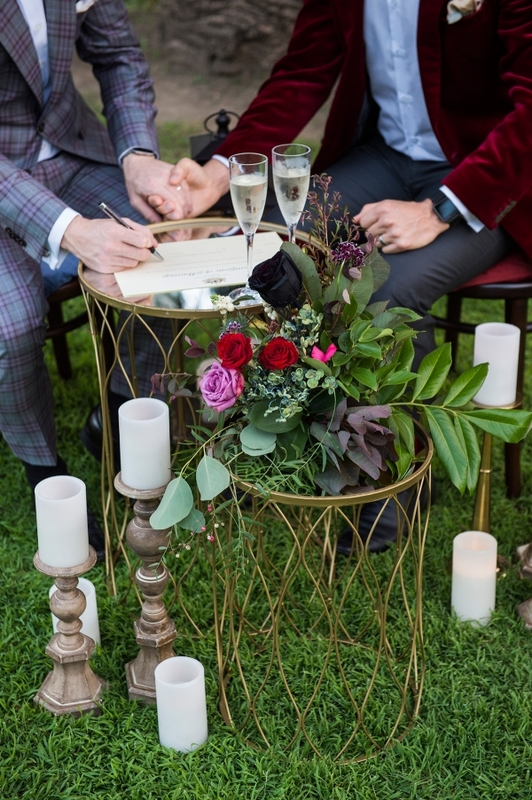 While this stat is no longer reported, it’s safe to say becoming a Marriage Celebrant is no longer for those looking for a retirement job, with Celebrants of all age groups now available. 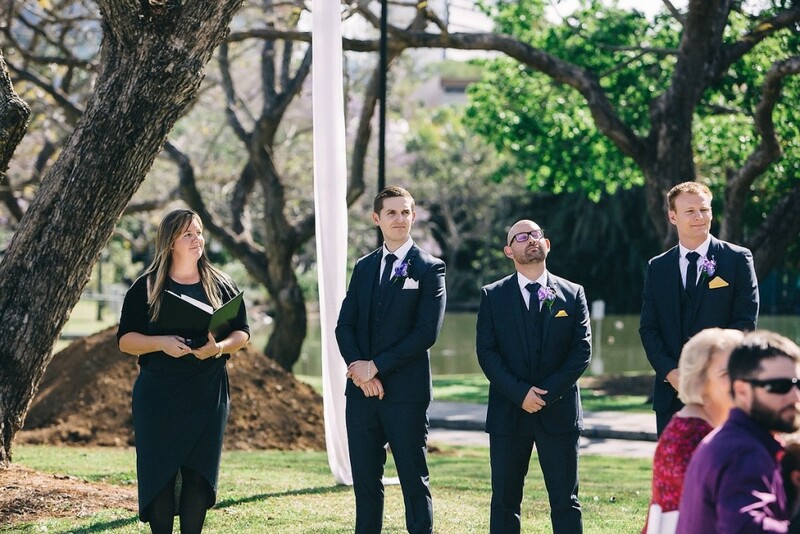 The average Australian Marriage Celebrant officiates 10 marriages every year. 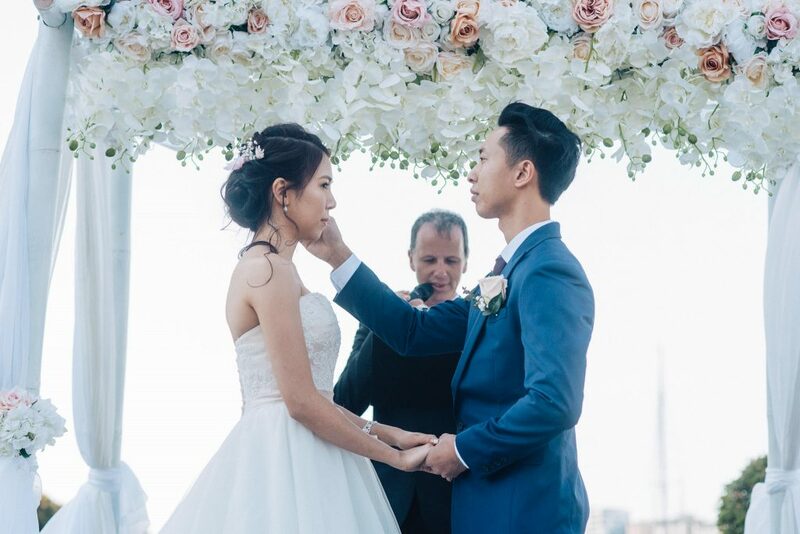 The median age at marriage for males in 2017 was 32.years, and the median age at marriage for females in 2017 was 30 years, in 2017, the majority of brides (80.9%) and grooms (79.3%) had not been married before. 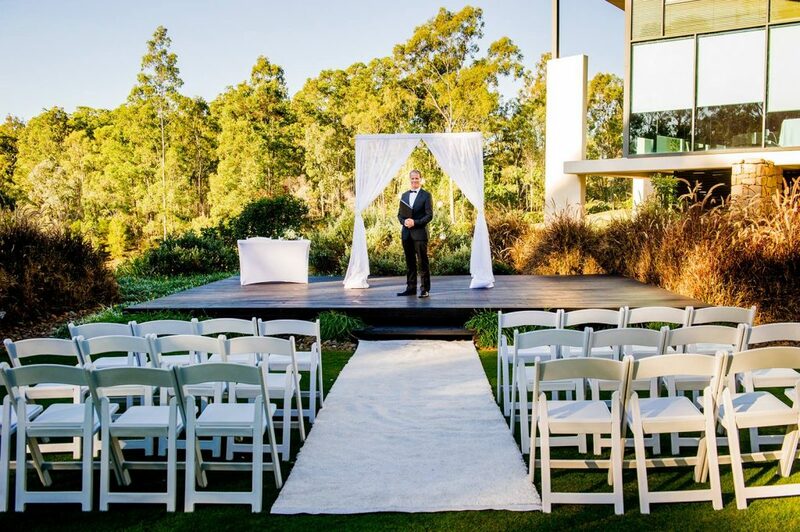 In QLD 2007 there were 26,000 weddings in QLD in 2017 there were 22,500 a reduction of 3,500 annual weddings. 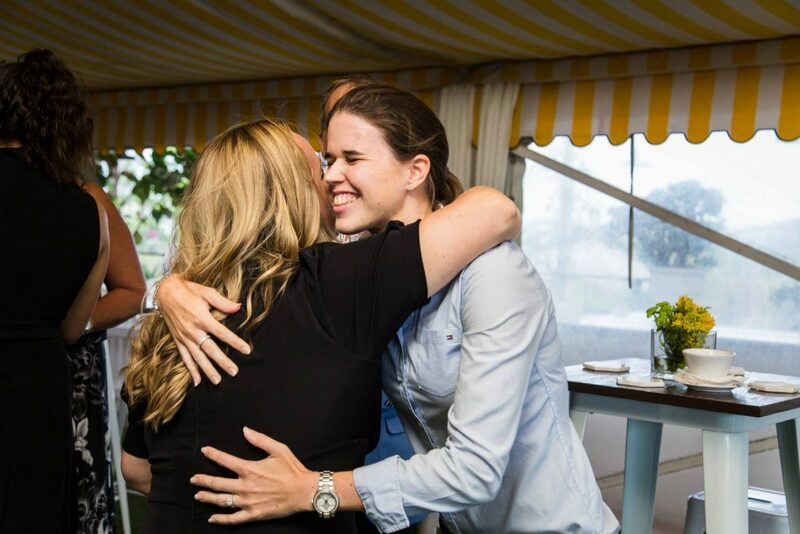 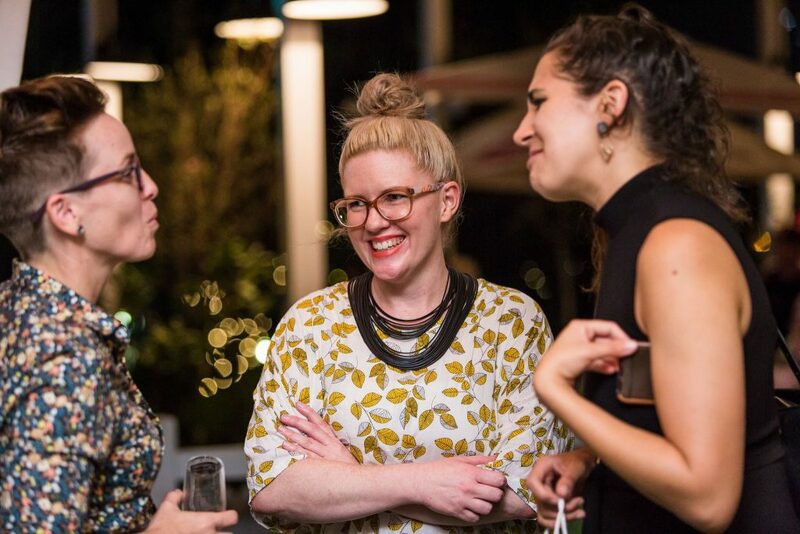 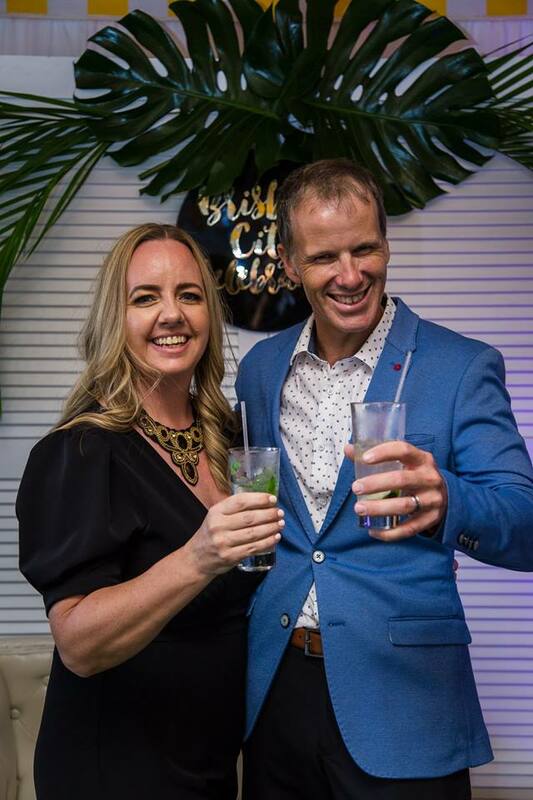 If you found this article interesting and you are looking for a Celebrant for your special day, Jamie and Cara of Brisbane City Celebrants would love to hear from you. 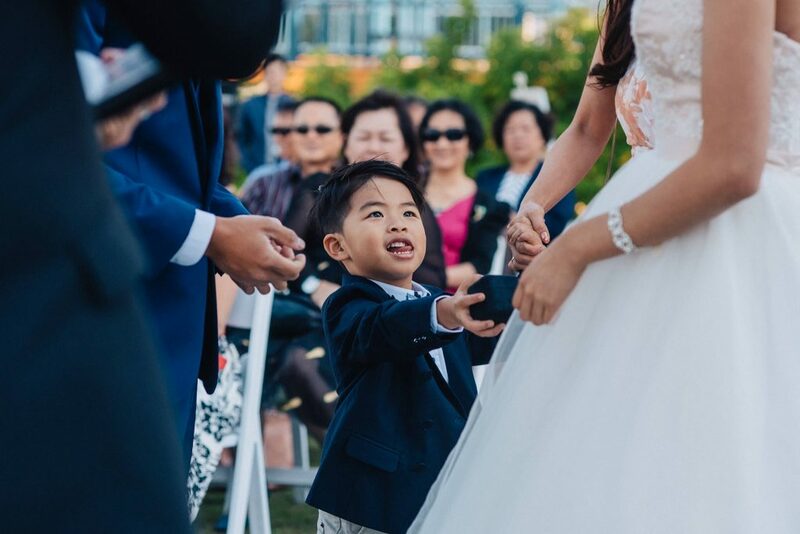 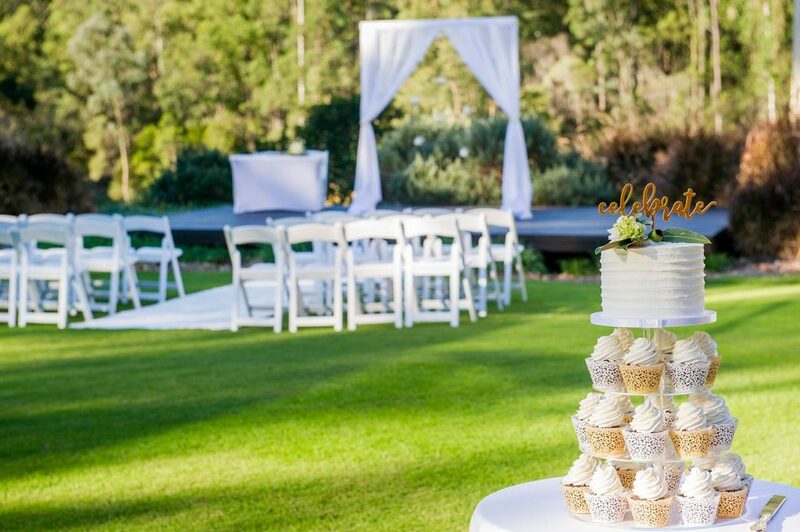 View more of their blog posts on the Brisbane Celebrants Directory & Blog, and contact them to confirm availability for your special day. 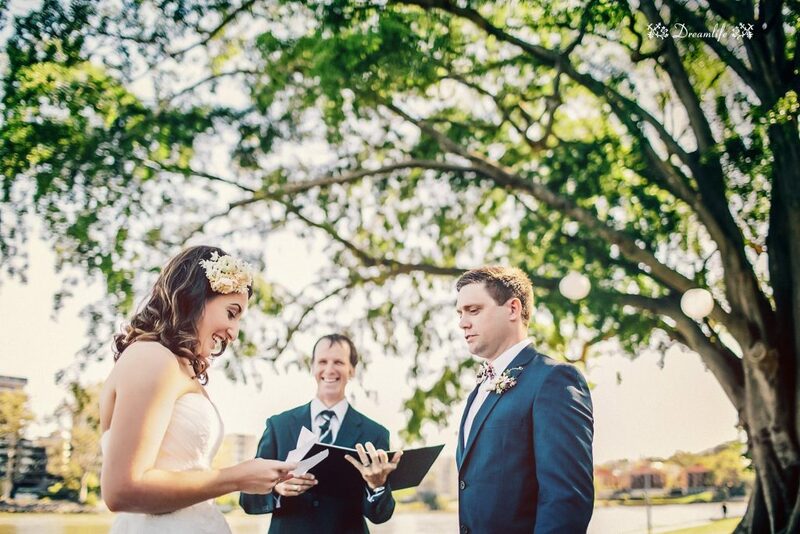 Such an amazing day for Emily and Jonathan’s summer wedding with Celebrant Jamie Eastgate at The Gardens Club in Brisbane City’s Botanical Gardens. 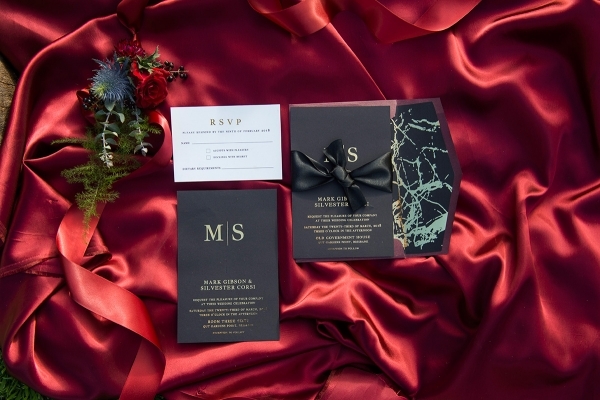 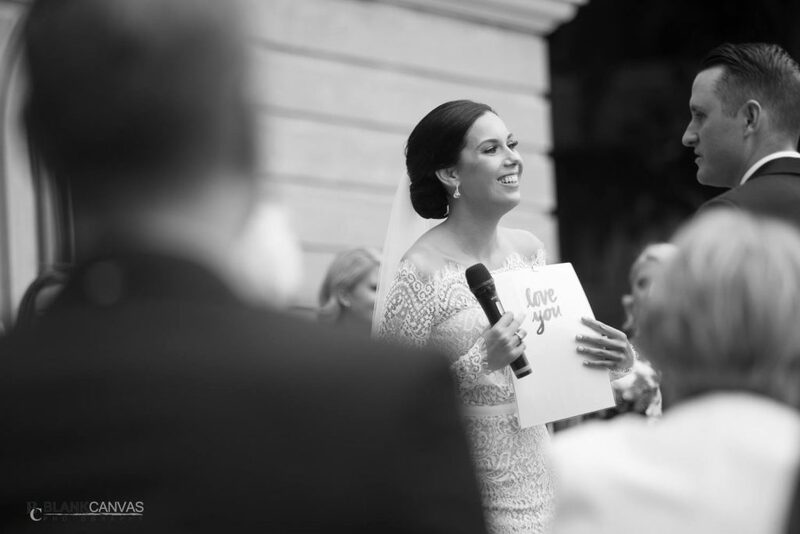 “You were such a pleasure to work with and made the process very easy by sending us the guide to work out our vows and the ceremony run sheet made it easy for us to work out how the ceremony would unfold. 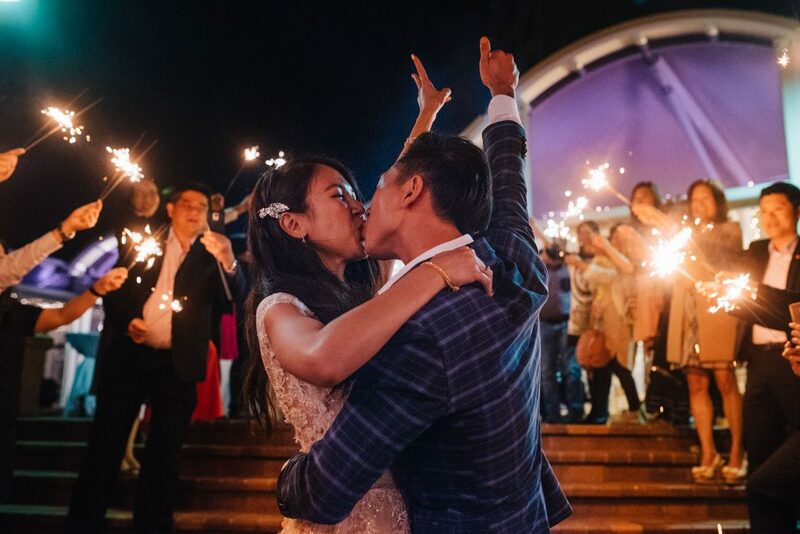 Congratulations to the happy newlyweds and thank you for sharing these amazing photos captured by Mac Loxton Photography from your very special day. 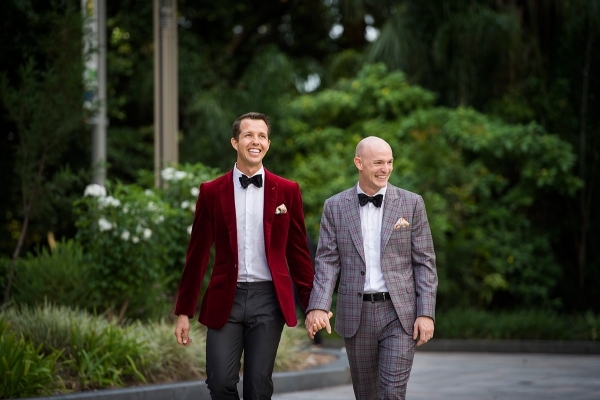 I love how Mac Loxton has captured the genuine happiness of the newlyweds, what a feast for the eyes these images are! 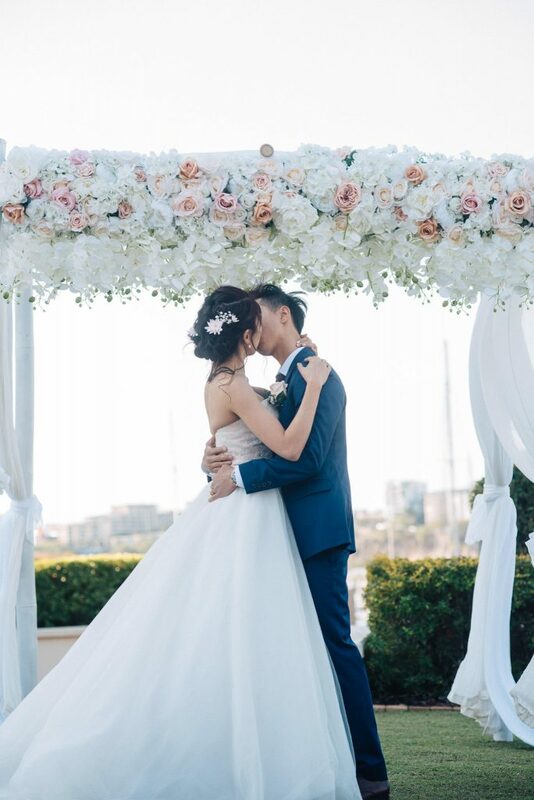 Congratulations to the happy couple and thank you for choosing me to be your Celebrant at your Gardens Club wedding. 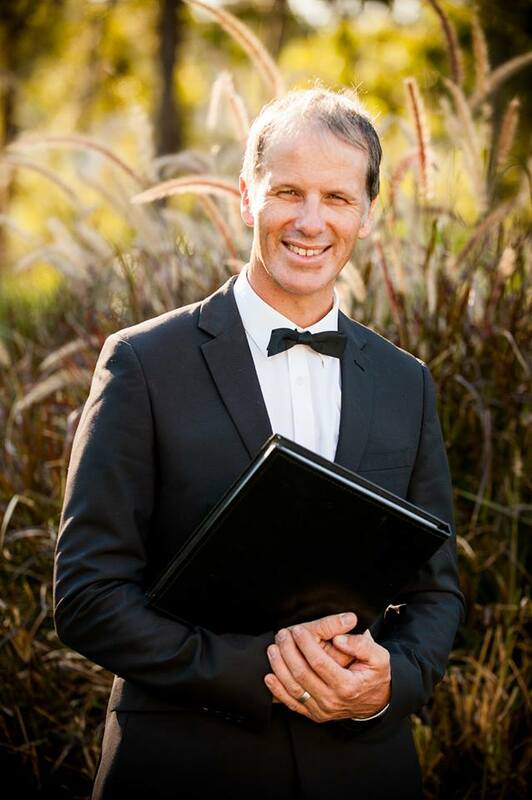 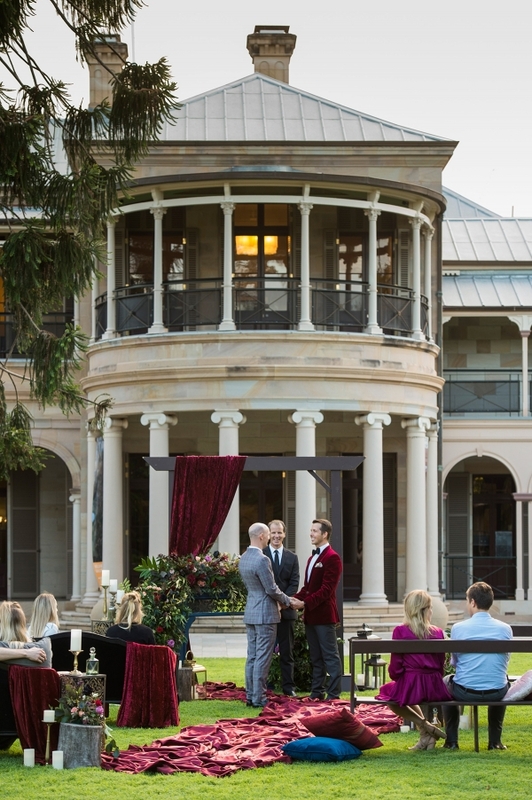 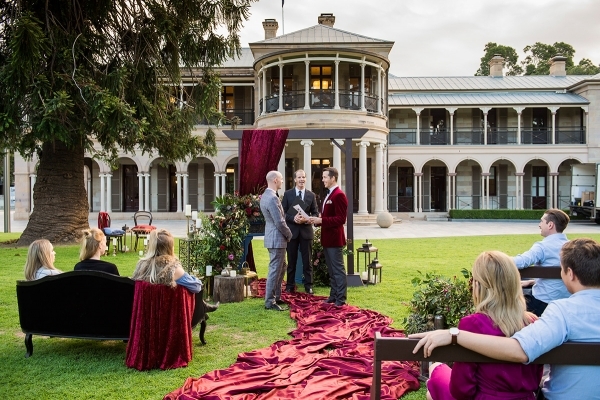 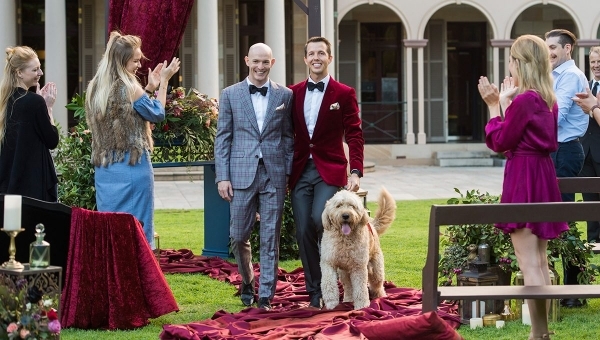 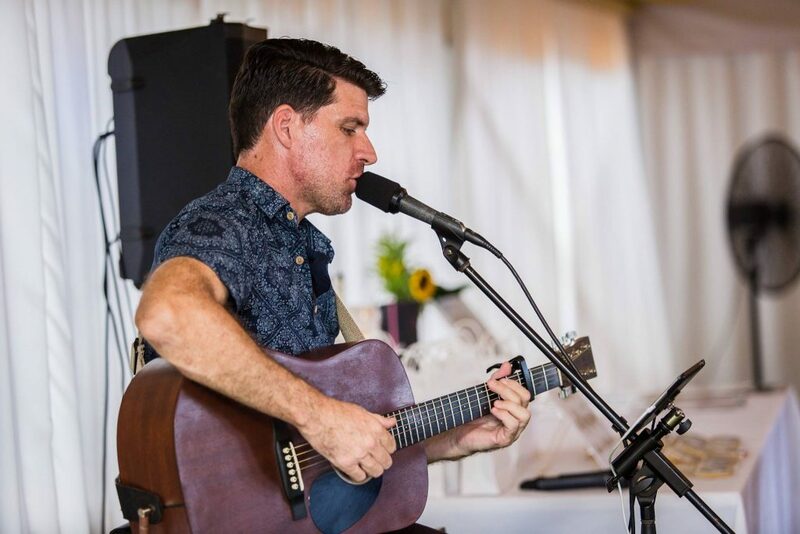 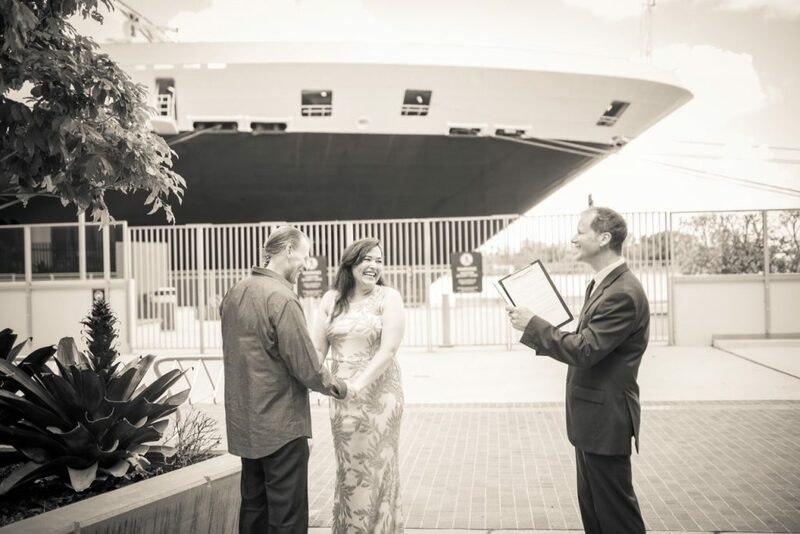 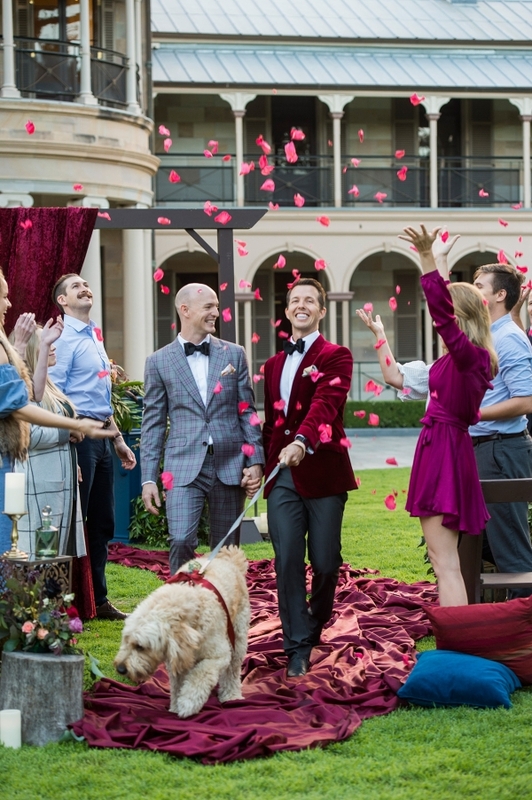 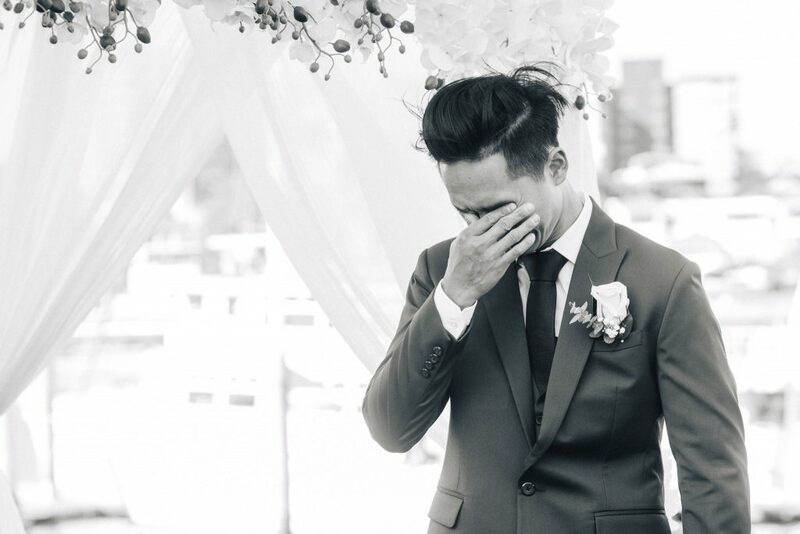 If you enjoyed this real wedding feature and are looking for a Celebrant for your Brisbane wedding, Celebrant Jamie Eastgate would love to hear from you. 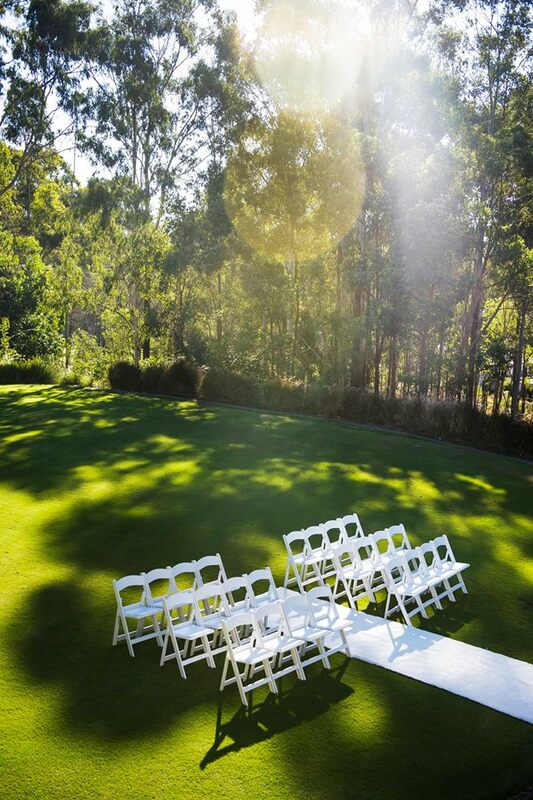 Contact Jamie for more information and to confirm availability for your wedding.